Phoenix was formed in Timisoara by Nicolae Covaci. A couple of years later they scored a hit with the Beatles-influenced ballad "I Know That You Love Me Too". Throughout the sixties their vinyl output only consisted of 2 EPs, but Phoenix recorded additional material for national Romanian radio and music for the movie "The Canary And The Blizzard". By the time of their first LP (selections from a rock opera named "Those Who Gave Us A Name"), Phoenix had adopted a strong heavy progressive sound with significant folk influences that were unrivalled in most of Eastern Europe. The instrumental parts were superb, full of strong lead guitars (recalling Martin Barre on early Jethro Tull albums), occasional gipsy violin, jazzy fuzz-bass breaks and complex rhythms. In addition, Phoenix used carefully constructed multi-voice vocal arrangements. The predominant folky mood is also supplemented with more heavy and psychedelic moments. Side one contained a long suite of songs dealing with the cycle of the seasons. Side two contained "Negru Vodă", one of their best known songs, opening in a concise and powerful manner but ending up in a long jam. The last track "Pseudo Morgana" had slight oriental influences. 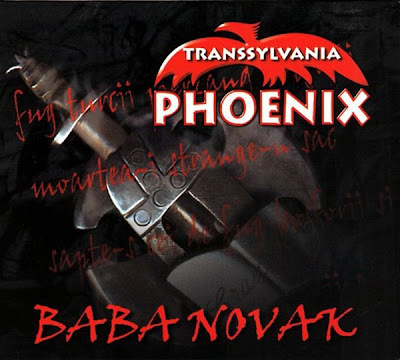 This is a classic album among the best ever from the Eastern bloc, conjuring up images from the Transylvanian middle ages. Mugur De Fluier (1974) was another strong album building on the elements of the first side of the previous album. It was a continuous suite of haunting songs glued together by the recurring theme "Lasă Lasă". Cantofabule (1975) was a highly ambitious and experimental double album on which their musical range had broadened even more. "Invocaţie" and "Zoomahia" even had pulsating synthesizer parts by the new keyboard player Günther Reininger. Other tracks ("Cintic-Lu A Cucuveauă-Lliei") veered in the direction of psychedelic folk-rock. The album also had a very nice sleeve design, picturing various animals in a dream-like scene. These three albums are indispensable for any true Euro-rock collector. Soon after Cantofabule, most of the members fled to Germany and The Netherlands and seem to have left the business. In 1991 they were reunited for some concerts in Romania.